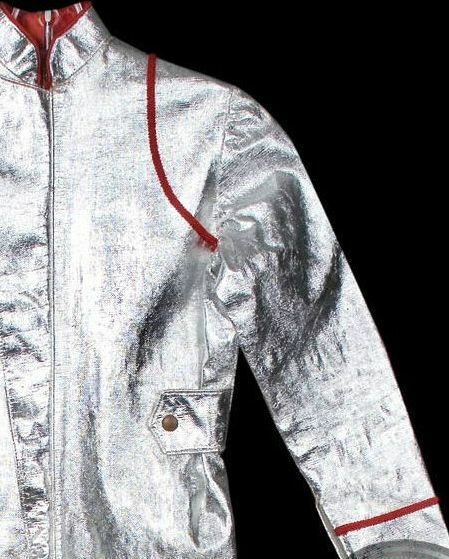 This is the very hard to find male silver space suit costume from the LOST IN SPACE TV show. There was a brief surge of Lost in Space toys in 1997 & 1998 to coincide with the release of the Lost In Space movie. Along with items based on the modern film characters and gadgets, there was also a line of items based on the classic 1960's TV, show which helped fill the gap of what was otherwise fairly limited in marketing in the day. 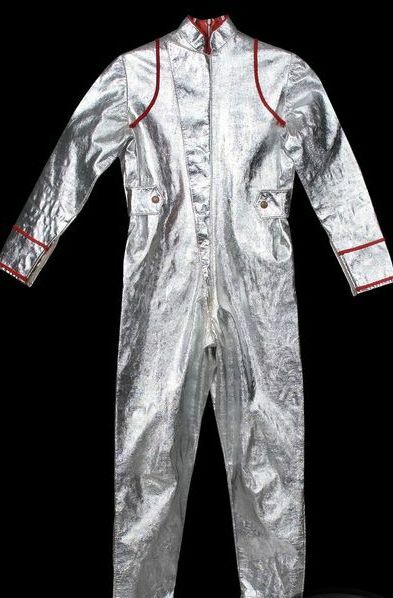 Among things licensed, was this authentic silver space suit costume, which featured the iconic red striping and stylized chest flap. Get some old boots and spray paint them silver and you too can join the space family Robinson on galactic journeys. It is also good for a generic 1950's / 1960's space suit for a rubber mask or bubble helmet etc. Very cool piece! Costumes made by the Paper Magic Company.